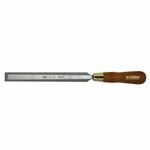 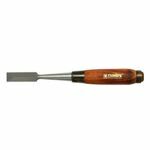 Inovated chisel with improved cross-section of the blade that minizes friction when cutting into wood. 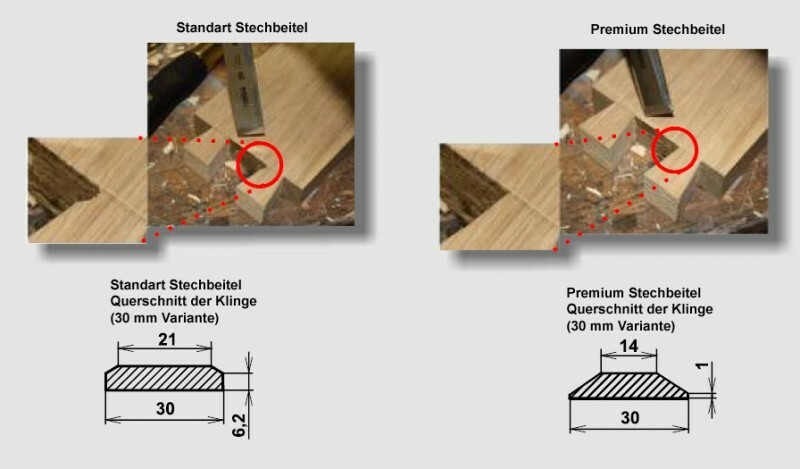 Improved grinding of the edges creates expecially thin sides which are in particular needed in dovetailing. 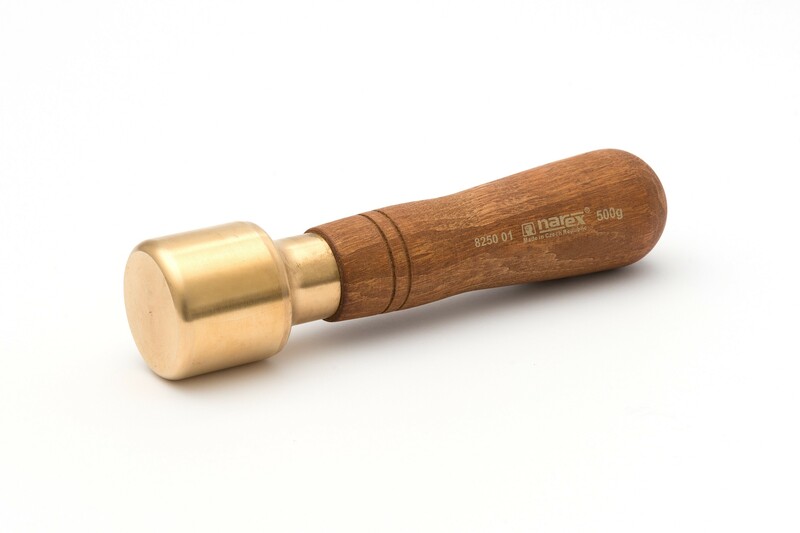 The Ergonomic handle from hard and hefty hornbeam wood is strong enough to withstand heavy mallet blows. The Combination of the stained hornbeam handle, brass ferrule and improved grinding of the blade creates a unique design of the tool. 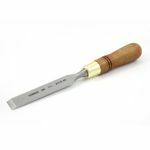 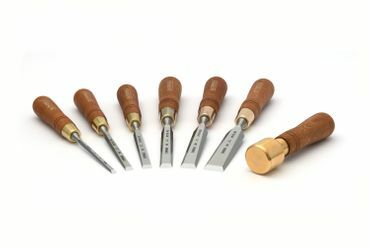 The brass carving mallet increases efficiency of the stroke on the chisels while saving energy. The heavy brass head does not bounce back, so the full energy put into the blow is used. 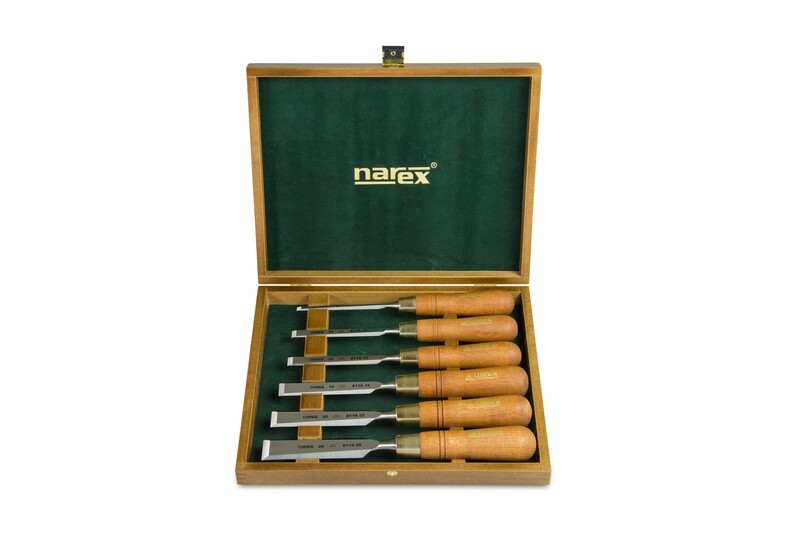 Compared to bigger mallets there is no need of a swing of an arm, only a slight pivot strike of the wrist.